Home » How to Transcode and Play M2TS Files with Plex Media Server? How to Transcode and Play M2TS Files with Plex Media Server? I have a lot of Blu-ray rips in m2ts format. They are/were transcoding and streaming fine on Plex version 0.9.12.19. I upgraded to 0.9.15.2 and they won't transcoding/streaming. I would just get a constant waiting circle, and eventually unable to play file error. I downgraded back to 0.9.12.19 and they work again! I like the idea of having up to date software, but not at the cost of files not transcoding on the fly. Thoughts or solutions? M2TS is a filename extension used for the Blu-ray Disc Audio-Video (BDAV) MPEG-2 Transport Stream (M2TS) container file format. It is used for multiplexing audio, video and other streams. It is based on the MPEG-2 transport stream container. Can Plex playback m2ts files? After searching for Plex supported file formats, we find that the native video support for Plex is limited to MP4 container, H.264 video encoding and AAC audio. Content such as M2TS that is not natively supported will automatically be Direct Streamed or transcoded as needed by the Plex Media Server. Why Plex won't transcode M2TS files? 1. The M2TS files ripped from Blu-ray disc may encrypted with AACS protection and your Plex app lack the library for AACS decoding. 2. Your media is compatible with your Plex app, but the video quality settings in your Plex app is higher than your source media and therefore force the Plex server to transcode the media, however, the server is not capable of transcoding. 3. The M2TS isn't compatible with your Plex app and you're connected to a Plex Media Server that cannot transcode M2TS file format, then it won't be aboe to convert the content to a compatible format. To getting best playing settings for Plex, in the program's "Profile" settings windows, you can adjust the output video codec as "H.264", audio codec as "AAC", resolution as "1980x1080", frame rate as 30fps. 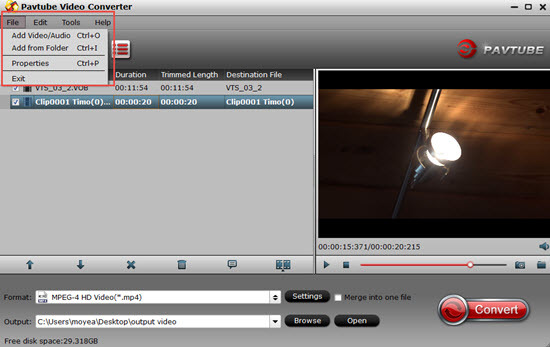 For Blu-ray or DVD users, you can download Pavtube Video Converter Ultimate for Windows/Mac to convert Blu-ray disc/BDMV folder/ISO image or DVD disc/Video_TS folder/DVD IFO/ISO image to Plex Media Server native supported format listed above. How to Convert M2TS for Playing on Plex Media Server? Step 1. Import m2ts video files. Launch the program, click "Load file(s)" or "Add video" button to load the M2TS video file you want to convert in your PC into the program. Step 2: Choose proper output format. 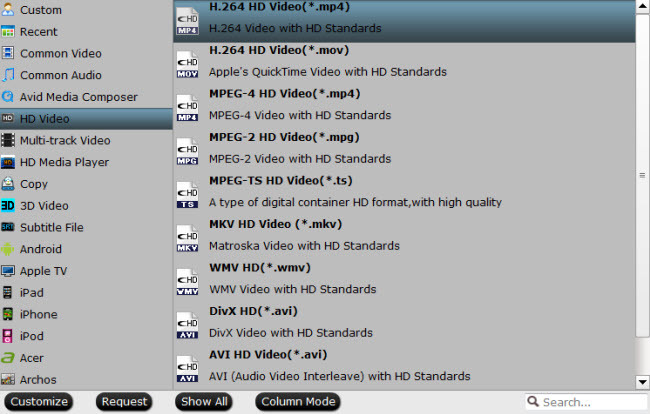 Click "Format" bar, from its drop-down option, select to output Plex best playable video formats by following "HD Video" > "H.264 HD Video(*.mp4)". Step 3: Adjust to output best profile settings for Plex. 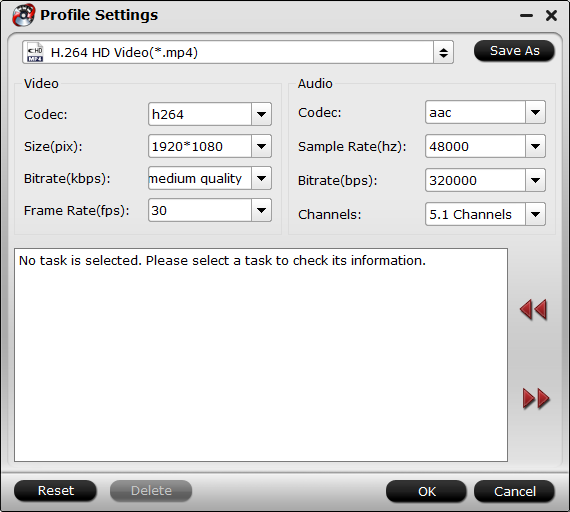 Click "Settings" to open "Profile" settings window, click "Codec" to choose H.264, "Size(pix)" to select 1920*1080 or smaller resolution according to your own situation, "Frame Rate" to choose "30" and in Audio section, click "Code" to choose "AAC". Go back to the main interface, click right-bottom "Convert" button to start M2TS to Plex supported H.264 codec conversion process. When the conversion is done, click "Open Output Folder" button to pop out the folder with converted files, then add converted files to plex for streaming and watching on PC, TV, smartphones, tablets, etc.